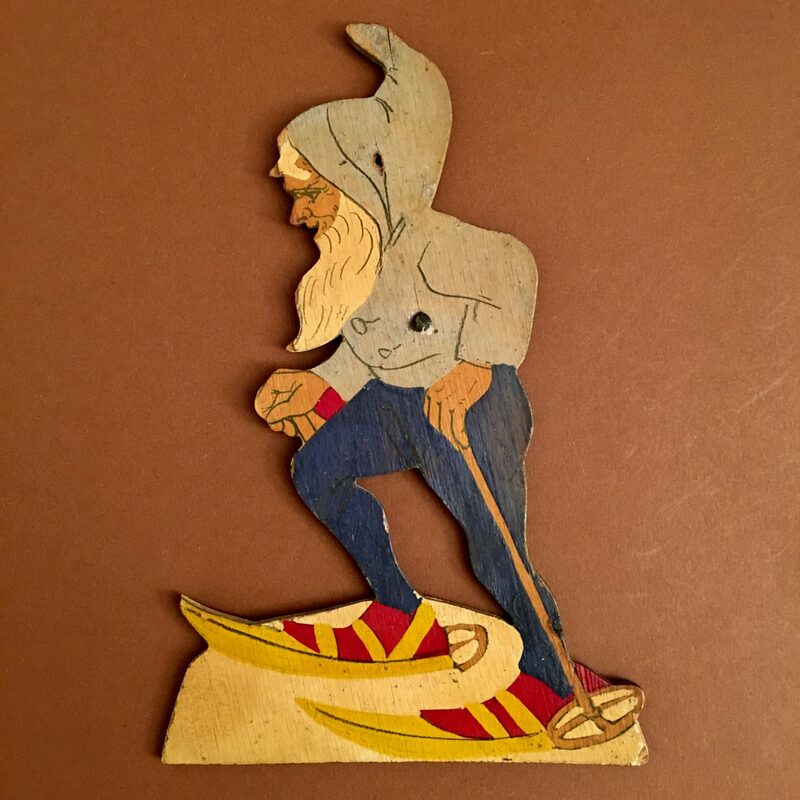 This is a beautifully unusual wall figure in old fashioned snow shoes. On the front you can see a nail, on the back the word „Holland“ in red stamp ink. The Dutch producers I have known so far are Kleur en Profiel and Zaandijk. It might very well be Zaandijk, the age and the style fit this grey dwarf very well. Hand-painted on wood and very rare.